Alciato at Glasgow: Emblem: Le saulx. Section: LES ARBRES. View all emblems in this section. Notant ceulx la qui point ne beuvent vin. 1. Homer, Odyssey, 10.510. See Pliny, Natural History, 16.46.110: the willow drops its seed before it is absolutely ripe, and for that reason was called by Homer ‘seed-loser’. Emblematum libellus (1546), Venice: Salix. Los Emblemas (1549), Lyon: El Sauze. Diverse imprese (1551), Lyon: SALICE. 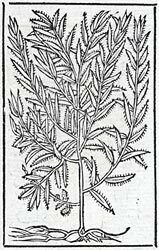 Emblematum libri II (Stockhamer) (1556), Lyon: Salix. Toutes les emblemes (1558), Lyon: Le saulx. Liber emblematum ... Kunstbuch (1567), Franckfurt am Main: Salix. Weidenbaum. Emblemata / Les emblemes (1584), Paris: Salix. Le Saulx. Declaracion magistral sobre las Emblemas de Andres Alciato (1615), Najera: SALIX. Les emblemes (1615), Geneva/Cologny: Le saule.